It’s been a year since Squidoo folded and transferred my Squidoo articles across to Hubpages, so I thought I’d check analytics and see what’s happened. Surprisingly, that’s nearly all Hubpages. And I’ve got about 2000 followers between Tumblr and Twitter. 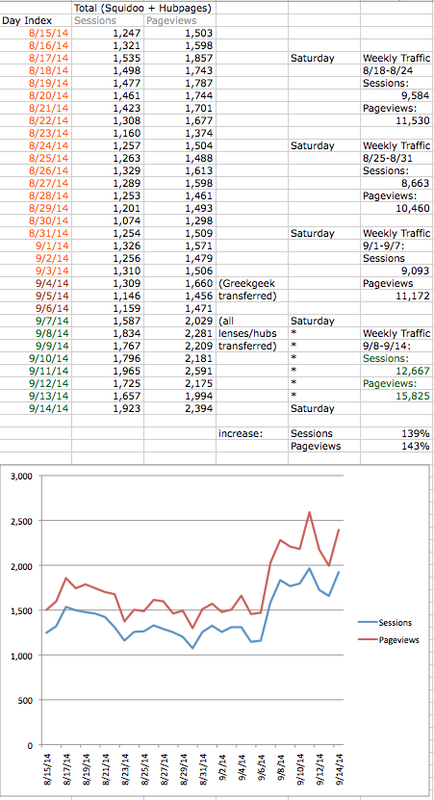 Below is the weekly pageview breakdown. The Squidoo imports (marked with S) perform better on average than my native Hubpages accounts, because I jettisoned about half my articles when they came across so I’d have breathing room to edit the rest. There’s something to be said for a really thorough spring cleaning. Drat. I’ve been trying so hard to focus on the transition to Hubpages and getting on with it, rather than rehashing what’s done and past. However, I keep see more and more posts by people throwing all the blame on members and absolving SquidHQ of the policies that led it into a death spiral. Sorry, no. That’s not what happened. I’ve been on Squidoo since 2007. I watched the site change its focus and its approach. HQ erratically tried to backpedal, but even as late as the end of 2013 they were forcing us to create low-content sales-generating pages or lose Giant Squid status. Here’s my full rebuttal, with more details on what I saw go down when. And now I’m going to try to get back to looking ahead and slowly getting my transferred articles up to snuff under Hubpages’ QAP standards which, honest to gosh, I want to hug. They’re a nuisance, but it’s the first time since early 2013 that I’ve revamped all my Squidoo articles and have some hope that this will help them. GreekGeek – any idea how hubs are organised on our profiles? What determines their order? Click the top of any column to sort by that column. “Published” is original publish date (Hubpages will keep our lens creation dates). “Changed” is the most recent update. 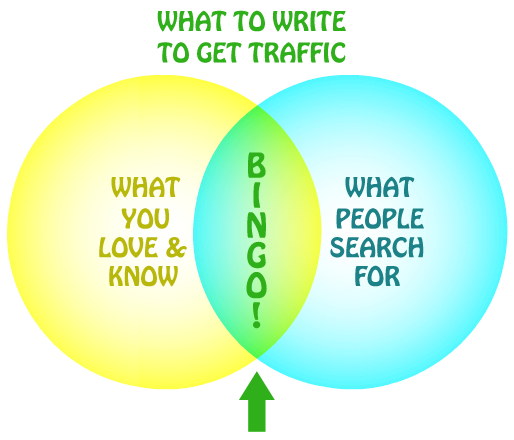 Or sort by traffic to tackle popular articles first. “Export as csv” creates a tidy list you can import into a spreadsheet and use as a to-do list. Hubs > Groups Create new groups. 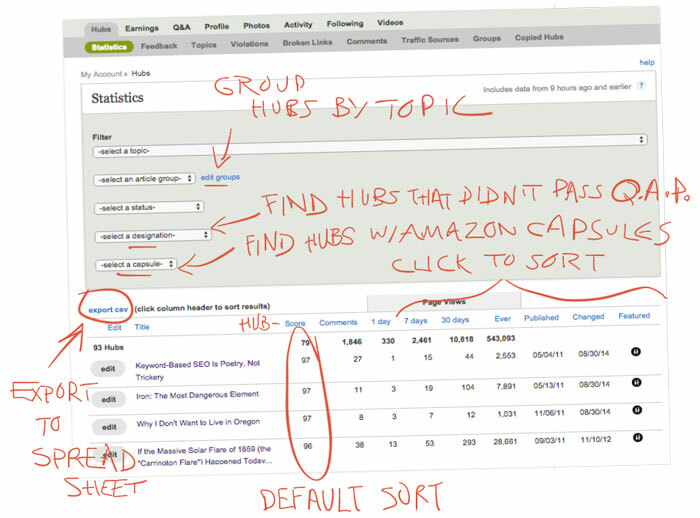 Scroll down on that pane for “orphaned hubs” which you can add to groups. You can also add a hub you’re editing to groups in the “Display Options” pane in the workshop sidebar. … lists all hubs that need more work to pass QAP. …lists all hubs with an Amazon capsule. Or look for hubs with eBay capsules, or hubs with Photo capsules (although that’s probably all of them). As we revamp our imported lenses, the sort by “Changed” (last edit) is going to be the most helpful option, and I also highly recommend “export as csv” and plugging the result into a spreadsheet, which you can then use to cross off those you’ve updated. EDIT: AND I TOTALLY FAILED TO ANSWER SPIRITUALITY’S QUESTION. Hubs on our profile are displayed to the public according to creation date, newest to oldest. I have found no way to sort them.